Question: Does it really make a difference whether I like the way my toothpaste tastes and if I enjoy its texture? Toothpaste is going to work for my dental hygiene whether I enjoy it or not, so why do I keep hearing that it’s worth trying out different varieties until I find something I’m swooning over? Answer: We offer this simple reminder: If you like it, it makes it enjoyable, and you’re more likely to do it as directed. If not, you may have a miserable time and may eventually avoid your care. It’s worth liking what you use. Question: Does it really make a difference if I use toothpaste that has been tested and accepted by the ADA (American Dental Association)? I know that some brands have the ADA Seal of Acceptance on them but I keep wondering if it’s just one more flashy feature or if it really means something for my own personal dental hygiene experience. Answer: When it comes to preventive dental care, which includes your brushing, the ADA seal is actually very impactful. Simply put, it distinguishes pastes that definitely work from those that only might work. Question: Does it really make a difference if I brush every single tooth surface? 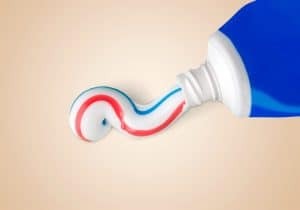 Doesn’t the fact that I have a mouthful of toothpaste mean that the cavity-fighting ingredients are going to work their magic as long as they come into contact in some way with my smile? Answer: Remember that your dental hygiene is more of a one-two punch when it comes to brushing. In addition to the fact that the ingredients in paste are helpful, you also need your brush to thoroughly remove plaque from tooth surfaces. Toothpaste doesn’t do this on its own! Remember that if you feel as though you are missing out on any particular information that you may need in order to effectively cleanse and protect your smile, our team is here to fill you in on every last detail! Set up an appointment in Grand Prairie, TX by contacting your dentist at Pecan Tree Dental to schedule a visit at (972) 262-5111.